​Dan Birchman received his Master of Business Administration (MBA) from The University of Texas at Austin, specializing in General Real Estate and Small Business. Dan's background also includes a Bachelor of Science from Texas A&M University and Post Graduate Studies of Land Planning and Environmental Management from Texas State University. Dan is a top Texas Licensed Real Estate Broker and a Texas Certified General Real Estate Appraiser. 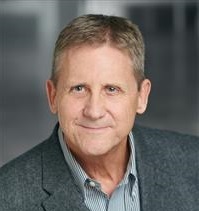 He has been active in the Austin, and Central Texas, real estate marketplace since 1983. His experience includes home buyer brokerage, real estate appraisals, litigation, expert witness testimony, and home construction. His expertise is recognized by the State of Texas, the courts of law, many financial institutions, several real estate investors, relocation companies, and federal institutions. Dan is an expert in matters of the Home Buyers Agency, the Home Buying Process, and Real Estate Market Value and Marketability. *The numerous real estate brokerage, appraisal, and construction seminars from various private and public educational sources include topics of home construction, inspections, contract negotiations, negotiating strategies, agency law, contract law, relocation, new home site selection, taxation issues, home buyer and consumer protection issues, home buyer advocacy, litigation and expert witness testimony, site and subdivision development, septic and well systems, among others.